I finally jumped on the Keurig bandwagon about a month or two ago. I scour the sites looking for bargains on the KCups and have been able to find two good deals in the past were the KCups ended up being 26-30 cents a piece for different varieties. I keep looking for more in the future. I thought I would not use this machine that much but it has become my brewer of choice. The other thing I kept looking for was a way to store the variety of flavors I have. For about a month, I left them in their boxes and got one at a time. 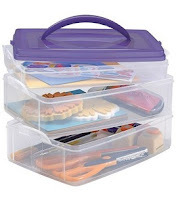 Then I saw all the storage drawers, etc that were $25+ at different sites. I'm too cheap to pay that for storage. 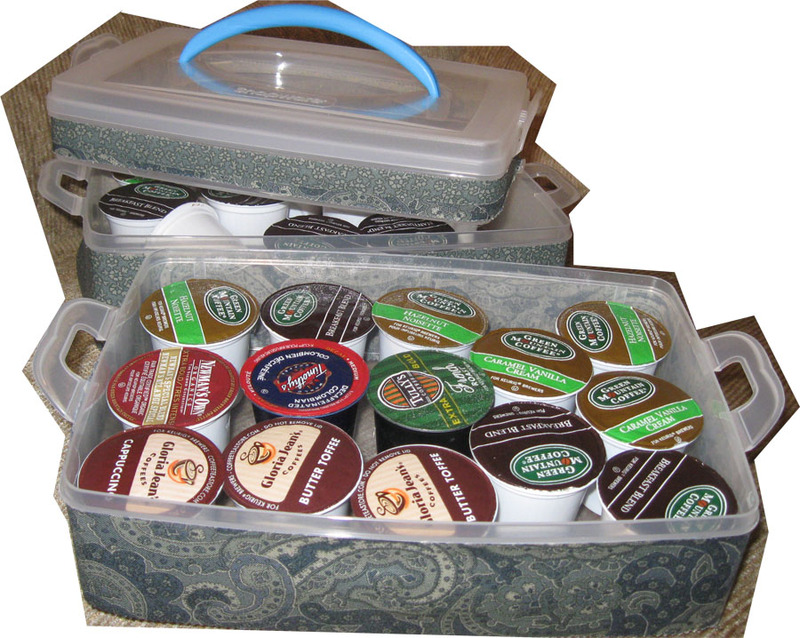 I have finally found my storage bin for my KCups. It was at Joanns this past week and was 40% off so it ended up being about $8. It's a plastic bin with 3 layers. The top layer is small for sugars and splenda storage. In the bottom two areas, I can store 12/13 Kcups in each level. They lock shut like a lock n lock storage unit. 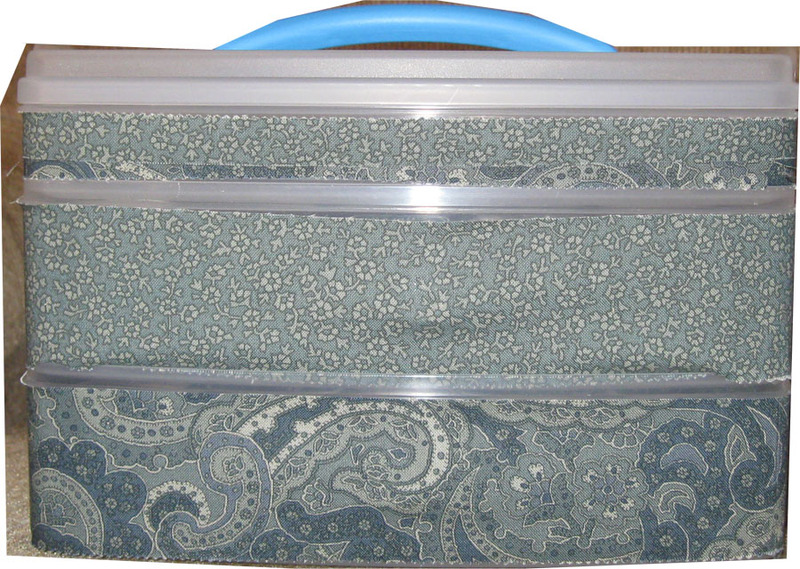 The great thing about the storage is that it can be decorated with a 2" strip of fabric on each of the bottom two levels. I used Velcro to keep the strips on but my next colors will be added with a hot glue gun. Only to be changed in the future when I tire of the color. I have to figure out a way to change the color of the handle as well. I also ordered an Easter egg holder to see if it will hold the K-Cups as well. My thoughts are that it will based on measurements. If so, it will be a carousel type storage. Can't wait until it comes in and it was just a few dollars as well.